The beauty and serenity of towering pines await you at Winter Garden RV Resort. Located a few miles from Disney World, this RV resort in Florida is the premier destination for campers seeking a wide variety of activities. After a day of exploring the famous Florida attractions, end the day with a relaxing swim in one of our two heated swimming pools. Additional amenities include two laundry facilities, a basketball court, shuffleboard courts, petanque, and a stocked fishing pond. 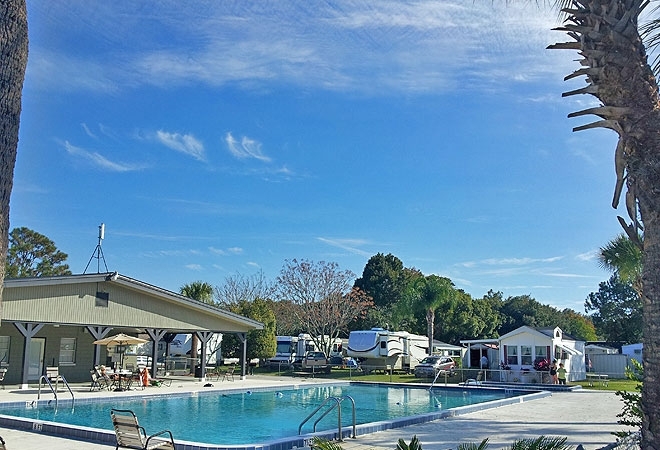 Winter Garden RV Resort offers a quaint and friendly atmosphere that features everything you're looking for in a Florida RV campground. Bring the entire family! We look forward to helping you create lasting memories on your next Florida camping trip.